NO SAFETY ISSUES. THIS INTERVENTION REQUIRES A COLD ENGINE, SEE BELOW. 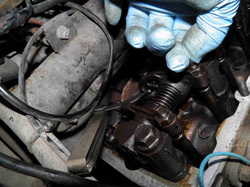 Valve adjustment can only be carried out on a cold engine. 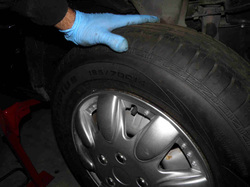 It is usually easy but you have to lift the vehicle on one side, rotate the engine by hand with the wheel and bend over the vehicle which are all quite tiring. Make sure you have no back or neck pain when proceeding. 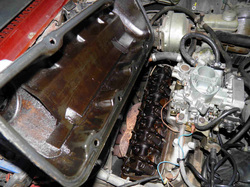 1- Start by removing the carburetor cover and the air filter for reaching the engine head cover. ​4- Take out the cover. 7- Work on one cylinder at a time. When the rockers of a cylinder are exactly opposite, i.e. 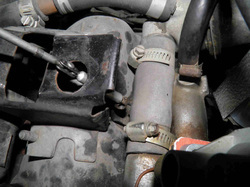 the inlet valve completely compressed and the exhaust released, work on the paired cylinder which is in compression mode. 10- Place the gauge of the right thickness and turn the screw in by hand until contact. 13- Repeat the same for all valves and all cylinders. 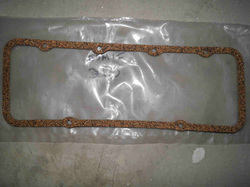 Prepare a new rocker arm cover gasket. 16- Clean well the cover if needed. Reverse all above steps. 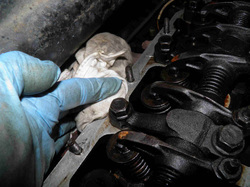 2- Unscrew the engine head cover bolts or nuts. 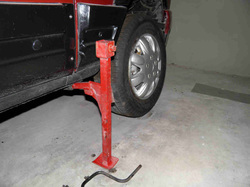 5- Lift the vehicle on the right side if it is a front wheel drive. For rear drives, the engine has to be rotated using the crankshaft pulley. 8- You need a standard and commonly available feeler gauge set. Check your engine gap values and use the matching gauges. 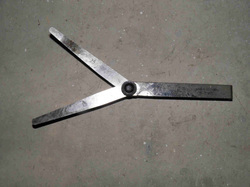 11- Hold the screw with the pliers and tighten the nut with the spanner. 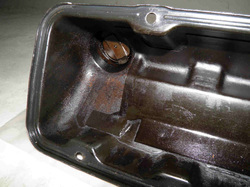 14- Remove the oil from the gasket seat with a cloth. 3-Use a magnet pick-up tool to collect the nuts that are difficult to reach. 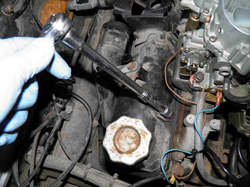 9- Loosen first the valve adjustment nut and then loosen it from the adjustment screw. 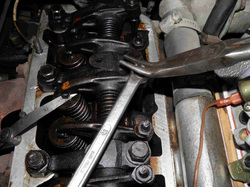 A specific tool exists but you can use a spanner and long nose pliers as shown. 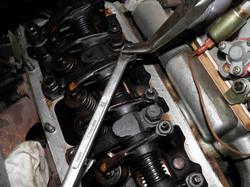 12- Make sure the gauge moves not to easy and not too hard. You may check if the thicker one goes in the gap to confirm the gap is not too big. 15- Fit a new gasket.